Click highlighted dates to see posts. Rays of Hope in Times of Loss was created to help people navigate through grief and other transitions. If you have lost a loved one due to death or the ending of a relationship, you have come to the right place. It's also helpful if you're experiencing career or other life changes. In this site and in the book of the same name, you will find many tools to help you. 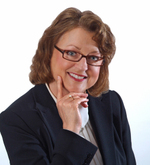 Susan speaks about many topics on personal, financial, and business growth. For information about her seminars, go to www.mindfulassetprograms.com. "Susan Zimmerman shared powerful stories of courage in the face of life's most challenging situations. She masterfully inspired hope, touched hearts, and uplifted spirits. Her message has an immediate and lasting impact in changing people's lives. Susan made our event shine even more brightly than we could have imagined."